Do you know how important website speed is for building your customer base? We let you into a secret and share the No.1 quick fix for a faster website. Most businesses today know they need a website if they’re going to get ahead. If you’ve already got one – well done! It probably looks nice and contains all the essential info you want people to know about your business and what you offer. Again, well done you! But do you know how fast your website is? And how important website speed is for building your customer base? Most people spend a lot of time and money on how their website looks. Some businesses think carefully about their content, and a few think about turning their visitors into subscribers and then into customers. But none of that matters if people don’t stick around to read your finely crafted, well organised content. This is where website performance comes in. Think of your website like a car. You’ve spent a lot of money on a shiny new car and you polish it often to keep it looking spotless. You’ve spent time choosing the right upholstery and you know it’s important to keep it clean and tidy inside. You want to show it off to your friends so you invite them over and they’re suitably impressed by the beautiful, gleaming exterior and spotless, stylish interior. You get in the driver’s seat and start the ignition. The engine tries to start but ends up sputtering and conking out. You try again and the same thing happens. Your friends are disappointed and end up walking away. That’s why website speed is so important – if your pages take too long to load and your visitors can’t get the info they need in a few seconds, they’ll give up and look elsewhere. We live in an impatient world where we expect everything to happen instantly. We don’t have time to wait for slow websites. The problem here is we’re entering the realm of the geeks and all kinds of techy stuff! But don’t worry, we’ll keep this simple and keep the jargon to a minimum. You need to benchmark your site before doing any optimisation; in other words, you need to figure out how your site is currently performing. The most important thing you’re looking for is page load time and this doesn’t just apply to your home page – all key pages should be tested. There are several online tools you can use to test the speed of your website, but unfortunately it’s not quite that straightforward. It depends on a lot of different variables and even running 3 tests on the same site won’t always give you the same answer. Many experts suggest using Google’s PageSpeed Insights but we say DON’T DO IT! Why? Because it doesn’t actually measure the loading time of your site – which is just crazy! So we use Pingdom Website Speed Test. 1. Go to Pingdom, enter your website URL and the location you want to test from. 2. Click Start Test and wait for the results to load. – Load time – this is what matters most! 4. Record the results and repeat for all other pages on your site. The most important result to focus on is load time. Ideally, you want a load time of up to about 3 seconds. Any more than this and your visitors will be waiting too long. Now, for the purpose of this post, we suggest you ignore all the other info that the speed test offers. It will almost certainly highlight other issues with your website, but what we’re after here is the quickest way to get your website performing faster. 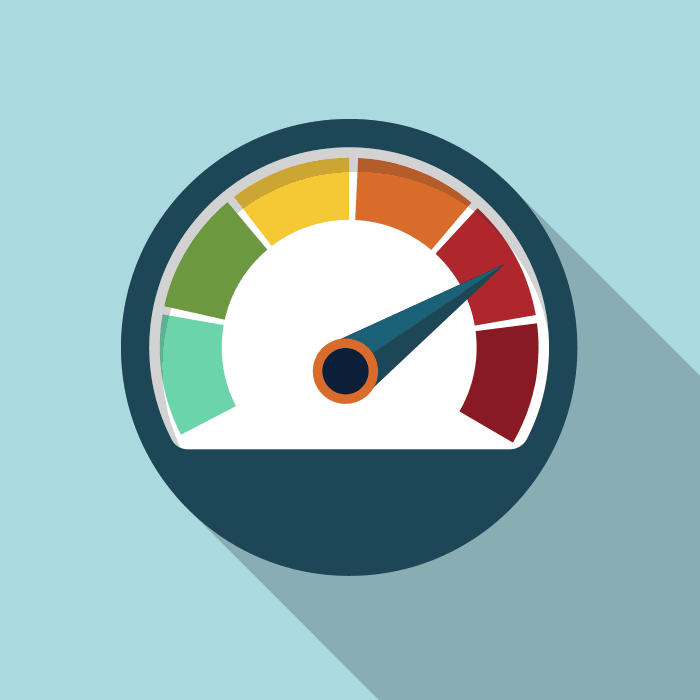 What’s the No.1 way to increase your website speed? Ok, so you’ve established how fast your web pages are actually loading and, the chances are, they could probably do with speeding up a bit, if not a lot. The images on your website are, almost without a doubt, the No.1 culprit for slowing down your site. The key is understanding how images work and making sure you compress them properly. The problem is, most images uploaded to the web are far too big and therefore take far too long to load, which essentially puts to waste all that hard work that went into your site in the first place. Remember: no matter how great your content, product or service is, no-one will hang around long enough to find out, if they have to wait too long for your site to load. Add to this the fact that WordPress has its own default image sizes, and themes and plugins can all add their own images on top of these, and you have a whole lotta images goin’ on! If you want a faster website, all you need to do is follow our simple 3-step guide. Turn off the default image sizes in WordPress, so you can set your own image sizes. Set all the dimensions to 0 pixels. Resize your images to the correct dimensions BEFORE uploading them to WordPress. For detailed instructions of how to do this, including a free image resizing video tutorial, check out our post A picture says a thousand words but not if it takes too long to load. Once you’ve resized your images, use TinyPNG to compress them BEFORE uploading them to WordPress. Simply drop your image onto the page and let the panda do his thing, then download the newly compressed image. The file size will be greatly reduced, without losing any of the quality. Bonus tip: instead of using the TinyPNG website to compress your images each time, why not install the TinyPNG WordPress plugin? Simply download and install it onto your WordPress site and it’ll automatically compress every image you upload. Just be sure to select the “compress all images” option. Now go forth and get speedy! And that, my friends, is the best way to a faster website. Our final reminder – which you’ll know if you’ve read 4 things you need for successful content marketing – is that website performance alone is not enough. You also need good people, a great product and clear processes if you want to succeed in growing your business with content marketing.